While a number of playoff-contending general managers are burning the midnight oil and asking scouts to log thousands of air miles to find that missing piece who will put them over the hump, some of the best options for a shot in the arm are already in place. Teams such as the Houston Astros, Los Angeles Dodgers, and Boston Red Sox need only reach into their farm systems to find shortstops, pitchers, or outfielders whose youthful energy and talent can offer an injection of skill and enthusiasm. Here are five current minor league call-ups poised to make a difference for their teams during the stretch run. 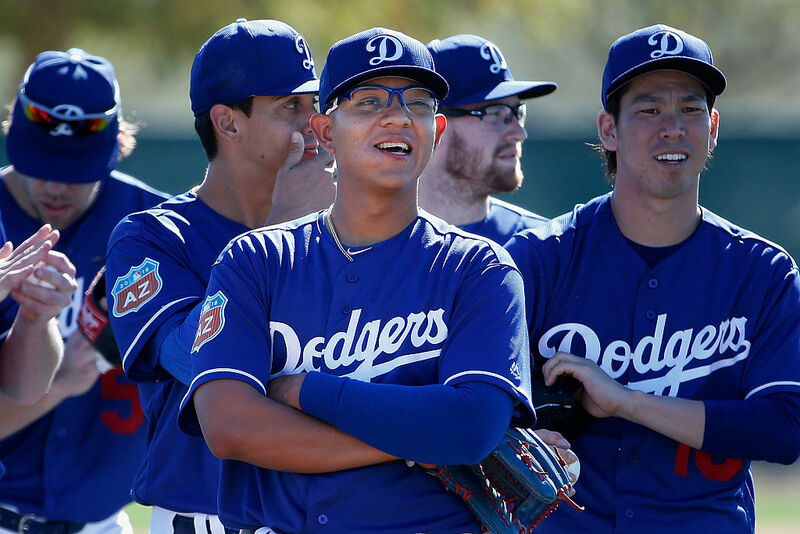 Coming up on his 20th birthday, the untouchable (as in don’t even ask for a trade) Julio Urias is the Dodgers ace in the hole (or farm system, as the case may be). Urias has been yo-yo-ing back and forth between the parent club and AAA Oklahoma City this season, where LA has wisely gave him gradual tastes of the big leagues as some of the team’s starters — such as Brandon McCarthy, Brett Anderson, Alex Wood — have been injured, opening up the need for a spot starter. In eight games with the Dodgers, the Mexican-born lefty is 1-2 with a 4.95 ERA, but his 44 strikeouts in 36 innings is a sign of emerging stardom. Now being tested in the bullpen for Oklahoma City, Urias is 4-1 with an ERA of 1.07 and a WHIP of .79. Mind you some teams in AAA such as Reno, Albuquerque, and El Paso play in cities where a routine fly ball turns into a home run with shocking regularity. Urias would be the perfect long relief or spot starter come September when the Dodgers most likely will be in the wild card hunt. With some nagging injuries hampering the great Clayton Kershaw, having another premium lefty on call could be the difference between making the playoffs and an early season end. The biggest question in the broadcast booth was when Yoan Moncada — who had a head-turning performance — would be called up and where would he play. 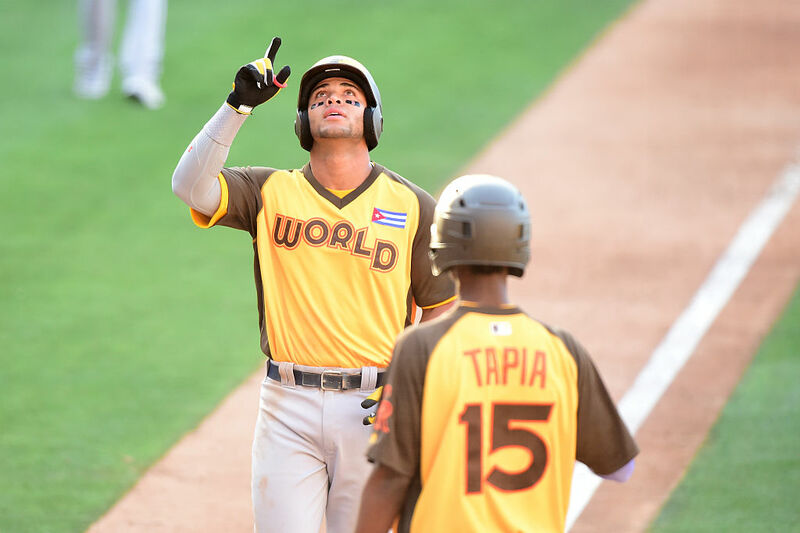 The debate was whether or not the 21-year-old Moncada could slide in somewhere on an already well-stocked infield. With a bonus north of $31 million, it seems the Red Sox could easily put him at third and let the chips fall where they may. Any place but DH (Big Papi owns that) seems doable. In a season beset with injuries, a five-tool player batting .328 at AA Portland with five homers in 16 games, Moncada not only could give the Red Sox that extra oomph they need to win in the competitive AL East, but energize the team and fans. 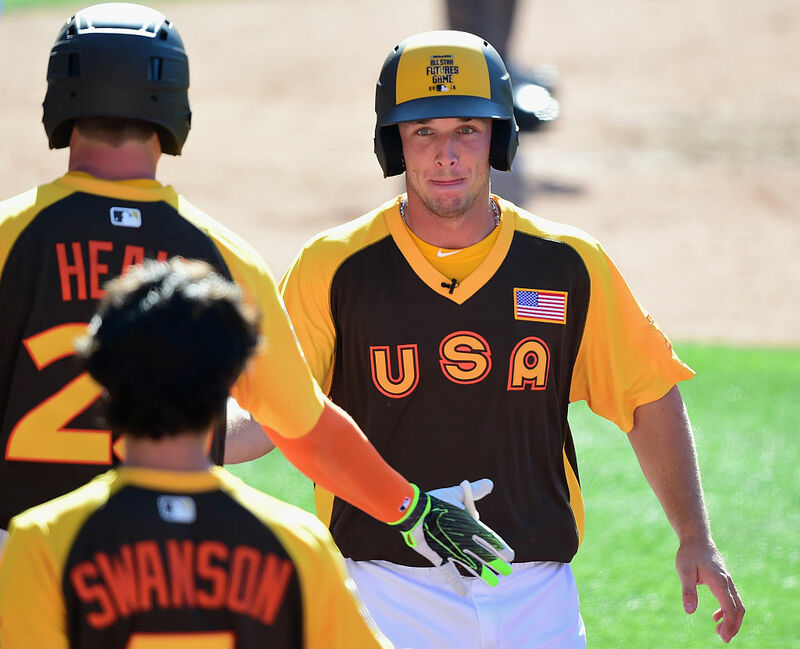 Similar to Moncada, Alex Bregman not only lit up the game with three hits (he desperately tried to hit a homer for the cycle), but radiated confidence and a fun swagger that will take Houston by storm. Not since The Killer Bs (Bagwell, Biggio) have Astro fans had a star of Bregman’s nature to become the team’s poster child. Currently batting .389 in Fresno, the Albuquerque native should be ready to take over third base after hitting 19 home runs in his two minor league stops in the 2016 season. The Astros current have 30-year-old Luis Valbuena at the hot corner, and despite ending the first half of the season with a flurry (12 dingers at the break), the veteran Venezuelan could either play first along with rookie AJ Reed or be dealt to a team that needs a solid infielder off the bench. 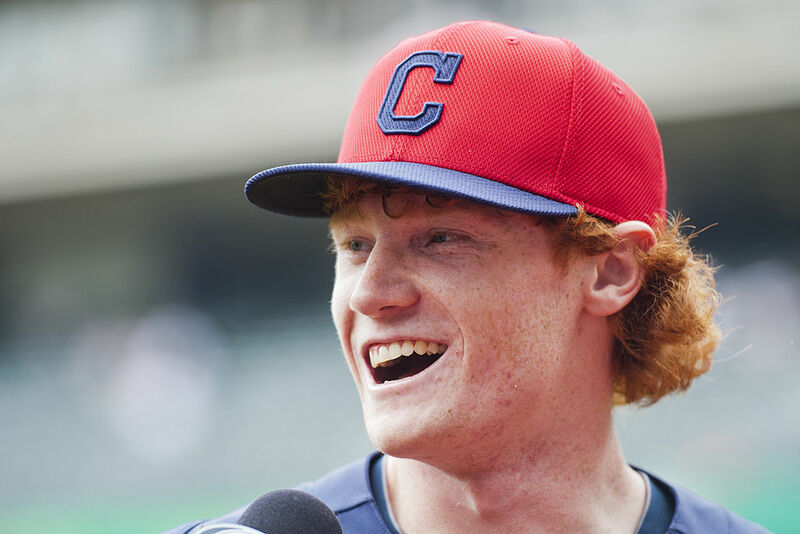 Clint Frazier, the long-lost twin of Danny Bonaduce (of Partridge Family fame), is a high-energy outfielder who came of age in 2015’s Arizona Fall League season. With a large shock of wild red hair, he is having a great season at AA Akron batting .287 with 11 homers and 11 stolen bases. More than anything, Frazier is the sort of player Indians manager Terry Francona will know how to nurture and use in the right spots for maximum impact. Like the Astros, Indians fans could use someone other than LeBron to focus on as a sports hero. In the highly competitive AL Central, the Cleveland Indians can use all the late-season muscle available to best the Tigers and Royals. The Cardinals bring along a pitcher at the end of the season to bolster the staff only to have him become a star come the post season and for years after; where have we seen this before? 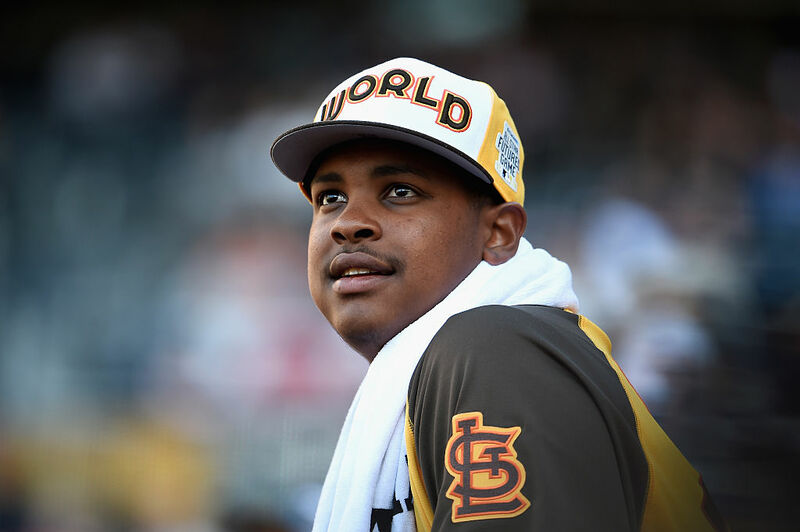 This year’s model is flamethrower Alex Reyes, a native of New Jersey who moved to the Dominican Republic as a kid. At 6-foot-3, 175 pounds, Reyes has the perfect pitcher’s build and throws high-90s heat with gentle ease. Perhaps not a fully polished gem, the powerful right-hander has 61 strikeouts in 41 innings at AAA Memphis. Could he be Trevor Rosenthal’s setup man or — dare we say — replacement? In an un-Trevor like first half, Rosenthal has only 14 saves and an ERA over 5.00. Batting a hamstring injury, perhaps a dose of Reyes could help the veteran closer heal more quickly. While the Cards are unlikely to top the Chicago Cubs for the NL Central title, a wild card berth is not out of the question.